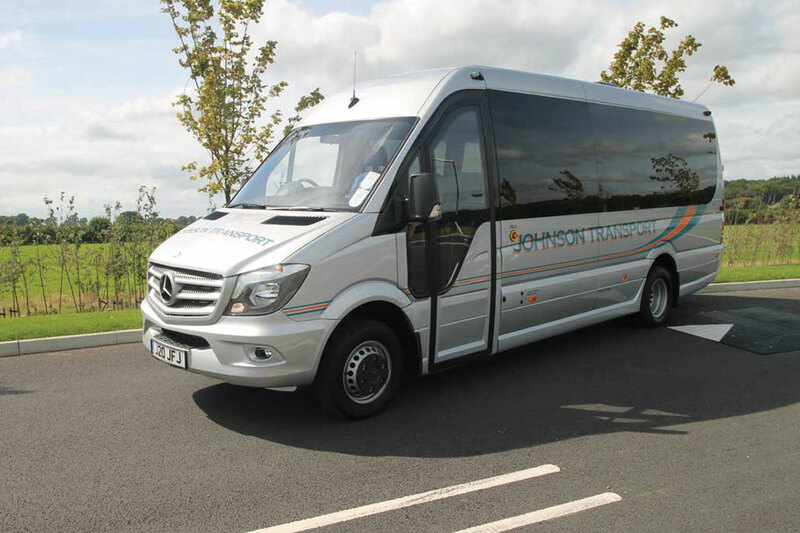 Johnson Transport has taken delivery of a new Euro6 Avantgarde Sprinter. Based on the Mercedes-Benz Sprinter 516 Cdi chassis, it is powered by a 163bhp Euro6 Common Rail Direct Injection diesel engine coupled to a seven-speed G-Tronic gearbox. 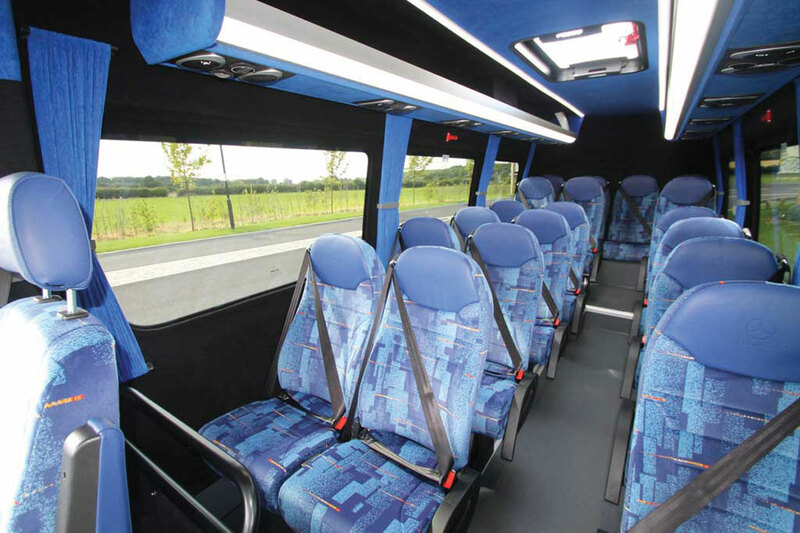 Features include 19 Brusa Crete 100 seats finished in Epengle moquette with leather head rests, a Mercedes-Benz Audio 10 entertainment system and in-dash air conditioning, with forced air ducted through service units in the luggage and saloon. Two full length brushed aluminium luggage racks stretch the length of the saloon with full length strip lighting and blue LED night lights.